River City Volkswagen Club :: Troy's rear end. Posted: Mon Oct 20, 2008 11:24 am Post subject: Troy's rear end. Not what you thought, you perverts. Posted: Tue Oct 21, 2008 8:48 am Post subject: Troy's rear end. 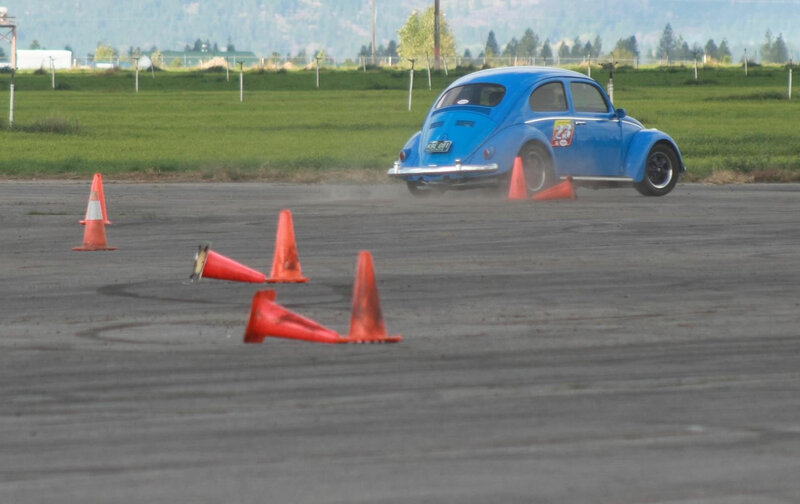 No cones were harmed that day(by me anyway). The cones on their side are pointer cones, showing which side of the standing cones to go. Damn, that thing stays flat! I need me some sway bars!